Courtesy, expertise & craftsmanship. One call does it all if you’re looking for quality fencing at a fair price. 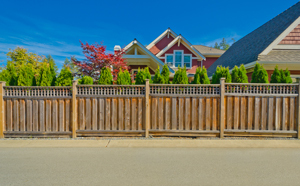 We can provide a complete fence design, selection, installation, and repair services. First Class Fence & Access Control is your local company for high-quality, custom-designed fences. Our craftsmen can install a wide variety of fencing styles and materials, ensuring you get the best fence for your needs. If you are interested in fence installation or need fence repair, call us at 1-844-485-8070 or click below for a free estimate! We provide residential fencing and commercial fencing solutions in Glenview, Riverwoods, Northbrook and nearby. Jerith is the oldest manufacturer of aluminum ornamental fences in North America. Ever since their founding in 1961 they've sought to provide homeowners with beautiful and effective aluminum fences made with U.S. materials. They've stayed true to this goal even as the company grew into a leader of the fence industry. Jerith's beautiful aluminum fences are perfectly suited for any home or business. All of Jerith's fencing options are designed to be incredibly durable, fade-resistant, and scratch resistant. This is partly due to their FencCoat™ finish. Their own unique and long-lasting finish. Contact First Class Fence & Access Control at 1-844-485-8070 or fill out our contact form to schedule a design consultation and get a free quote for fence repair or installation. 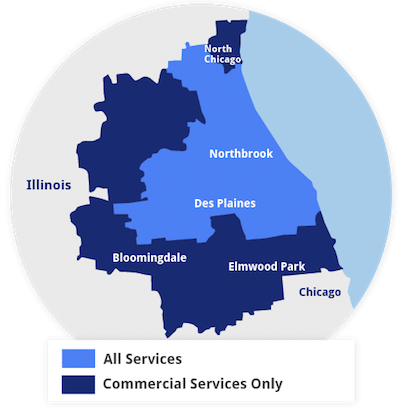 We proudly serve in Glencoe, Highland Park, Highwood, Deerfield, Lincolnshire, Wheeling, Chicago and surrounding areas.